Welcome to Our Summer 2018 Interns! Three times per year, EPIC welcomes a new cohort of interns – young professionals seeking to add practical experience to their academic backgrounds in humanitarian affairs, international relations, security studies, political science, public relations, and beyond. We are grateful for their contributions to our research, action, and advocacy, and for the opportunity to connect them to Iraq and its people. Please join us in welcoming our Summer 2018 interns: Savva, Dalia, Jesse, and Tamara! Savva Martyshev is an undergraduate student at Davidson College pursuing a Bachelor of Arts in Political Science and Middle Eastern Studies. Savva’s focus primarily lies in international politics and education. Prior to working for EPIC, Savva spent a year working with English as a Second Language students in Chinese, Russian, and Kyrgyz. Additionally, he served as an intern at the Center for Political-Military Analysis at the Hudson Institute, analyzing and monitoring trends vis-a-vis Russia, Central Asia, and the Middle East. His interest in Iraq stems from his study of Middle Eastern History, Politics, and Arabic and passion for promoting peace and protecting human life. Dalia Namak is an Iraqi-American student at Wake Forest University studying Politics and International Affairs and Anthropology with a minor in Middle Eastern and South Asian Studies. She dedicates her time tutoring Syrian refugee students, and plans and volunteers at local events aimed to foster a welcoming environment for the refugee population in Winston-Salem, NC. On campus, she is active in social justice education, with a focus on the needs of the Wake Forest Muslim student population. Dalia is working toward a career in international diplomacy, with a focus on US-Middle Eastern relations, which brought her to intern at EPIC this summer. She is particularly passionate about humanitarian work and advocacy for the Iraqi population. Jesse Pearlmutter is entering his final semester at American University where he will complete his degree in International Studies, focusing on Global Inequality and Development, and Global Governance with a regional focus on South Asia. Jesse is originally from the Philadelphia Area. Previously, he interned at Parvati Swayamvikas, a microfinance institution in Pune, India; coordinated the Explore DC Program at American University; and interned for Maryland statewide campaigns during the 2016 elections cycle. Jesse is excited to be interning at EPIC and contributing to its goal of promoting Human Security in Iraq. 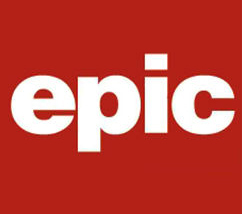 Tamara Wong joins EPIC with a strong background in Middle Eastern policy. She is currently completing the last year of her Masters in Global Affairs specializing in Transnational Security and Humanitarian Development at New York University. She has many years of experience within the non-profit world internationally, working with multiple humanitarian organizations on issues such as conflict resolution, LGBTI injustices, international law claims and women’s rights. She is originally from Tunisia, and received a Bachelor of Arts in Political Science from Bard College. Tamara is an avid writer offering opinions on human rights issues, the problems international students face within the US, and peace-building methods across the developing world.